I have worked for Sage for six years. I originally came in as Head of People for the UK. More recently, I’ve been fulfilling the role of People Director for the UK and Ireland. What that means is that I have an accountability to look after our 3,000 people at our sites across the UK and Ireland, which includes Newcastle, Manchester, Winnersh, Dublin and London. I’m supported by a team of HR business partners. They are predominantly based in Newcastle where the lion’s share of our 3,000 colleagues are based, some of them are based at our other large sites too, including in Dublin looking after Irish colleagues. Together we work on bringing to life the people strategy elements and the delivering the people-related projects that we have around the UK and Ireland. Sage really values diversity because it brings different mind sets to the table. This ethos is encouraged from top of the organisation in Sage. Stephen Kelly, our CEO, is incredibly passionate about diversity and inclusion, so he’s made it a priority in terms of the wider Sage business. That filters down to all of the leaders right across Sage, right across the world. The reason we care so passionately about diversity and the reason that we work so hard on it is because we feel that with different views and opinions coming to the table we enjoy a much richer conversation, with a wider range of views and solutions, so that’s much better for the business. Statistics prove that the more diverse senior teams are and the more diverse businesses are, the more positive impact there is on businesses, so that’s a benefit for us. At Sage, we really care about the businesses we work with and I think it’s more important than ever to reflect the communities in which we live and work, and the customers we serve from a diversity perspective to make sure that they feel Sage is a company they can work with, and that we have common goals. 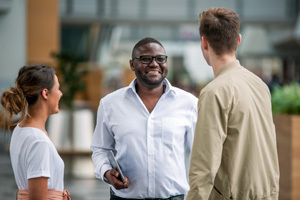 From an inclusion perspective, we want absolutely everyone – no matter what their background, their ethnicity, their gender – to feel part of the community that we have at Sage, part of the Sage family, and to enjoy life at Sage. Being a Sage colleague is exciting, it’s demanding, it’s hard work, but it’s also great fun most of the time, so we want to make sure that as we’ve put in so much effort to attracting and retaining a diverse workforce that they really feel part of what we do and they don’t feel out of place as a result of being a member of a minority group. 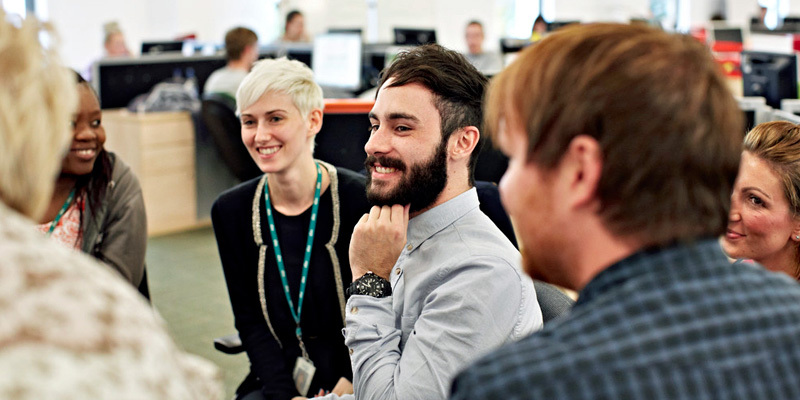 It’s very much about the wider diversity agenda at Sage, because without a true mix of all the different aspects of diversity, we wouldn’t be so successful and we wouldn’t be such a good place to work as we want to be. 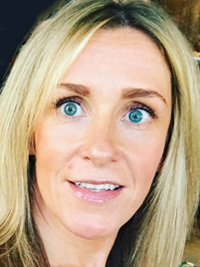 In terms of our business, we are delighted to support Womanthology’s #IDidItAnyway crowdfunding campaign because at Sage we aim to have a 50/50 workforce split by 2020, and we would love that to be the case on the executive board and the executive leadership teams across the business as well. 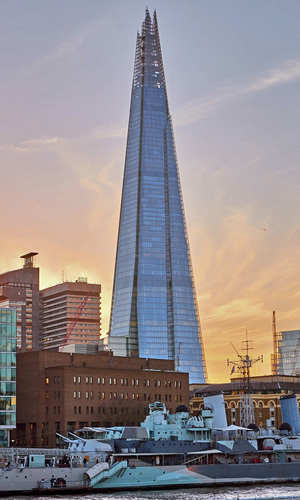 I’m looking forward to joining the other diversity thought leaders at the event at Warwick Business School in The Shard on 20th November 2017. For me, what Womanthology does is to provide role models that people can look to and say: “Actually, she did it. Even though she wasn’t as confident when she originally started out as she is today. I’ve heard that story and I can relate to it.” Providing role models and inspiring stories about people who have been there, learned from the experience and made that journey is really powerful. Resilience, grit and determination are qualities that you absolutely need as a leader whether you’re a man or a woman, and no matter what your background. To be successful in business – and it definitely applies in Sage – you need to have all of those qualities. As part of this, to help women build up confidence and resilience is extremely important. We’ve been talking this week about that well-known phenomenon that men will put themselves forward for a job if they have 60% of the role requirements, whereas a woman will typically wait until she thinks she ticks every single box for the job before applying. I think it’s about giving women the confidence to push themselves forward and jump into things where they might not have 100% of the experience or 100% of the skills, but reassuring them that actually that’s OK. Behaviours and values are also important and you can develop and learn. We have to acknowledge that when we are promoted or move into a new area of the business we don’t necessarily have all the answers, but most of us are resourceful enough to be able to find them. It’s just about giving people the confidence to put themselves forward and get into those positions. I’m doing some work with the sixth form ICT class of a local school at the moment. I did a presentation to them about Sage last week and at the end the only two girls in the class came up to talk to me. They told me how much they’d like to come to Sage so they could meet developers, engineers and the people who have the type of jobs they’d like to do, so we’re making that happen. That’s just one example of the ways we can all make a difference and work towards ending gender stereotypes in tech.